1. Johannes ENGELHORN (Johann Marcus) was born 30 Dec 1822 in Altlussheim, Germany. He died 20 May 1884 in Lansing Twp, Allamakee County, Iowa and was buried in Lansing Ridge Cemetery, Allamakee County, Iowa. Progenitor of the "John Line", Johannes emigrated 12 March 1852 with his two sisters, Christina Maragretha and Christina Wilhelmina and two nephews, sons of his brother Johann Thomas III: Johann Martin and Julius Jakob. Johann was employed as a carpenter and millwright in a number of cities in Germany and Austria before sailing from Le Harve, France on the ship "Tirrell" for New Orleans. Arriving in New Orleans 18 May, 1852. Johann, his two sisters and two nephews arrived in Dubuque, Iowa about mid-June, 1852. He purchased 160 acres of farmland west of Lansing on which he erected a house with poles, brush and a small amount of lumber and where he farmed until his death in 1884, becoming quite well-to-do. 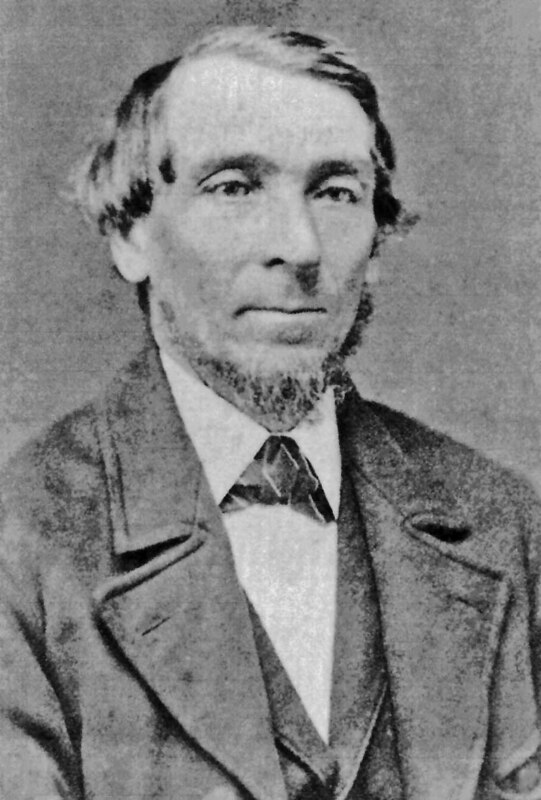 In 1868 John was named one of the trustees of the newly formed German Evangelical Congregational Society of Lansing Ridge. Read four letters written by Johannes in 1852. At his death the farm and personal property were sold at public auction, consisting of 160 acres, of which 126 were under cultivation, and the balance in good timberland. "It is a splendid farm for stock raising." The Lansing Mirror reported that the funeral was largely attended with about sixty teams in the procession. "Mr. Engelhorn was an honored Christian gentleman.…held in high esteem by his fellow men." Johannes married Anna Eva BARTHEL, daughter of George Paulus BARTHEL and Barbara Sabrina SCHEUERLEIN, on 1 Mar 1854 in Churchtown, Iowa. Anna was born 27 Jun 1817 in Beerbach, Germany. She died 13 Jun 1894 in Helena, Montana and was buried 19 Jun 1894 in Lansing Ridge Cemetery, Allamakee County, Iowa. Anna lived continuously in Allamakee county until the death of Johannes in 1884 when she moved to Montana to live with her son and family. She was a model Christian mother, always taking great interest in her Presbyterian Church and Sunday school work. Hermann Theodore ENGELHORN was born 29 Feb 1856 and died 22 May 1937. 2. Hermann Theodore ENGELHORN (Johannes) was born 29 Feb 1856 in Lansing, Iowa. He died 22 May 1937 in Berkeley, California and was buried in Oakland, California in the Chapel of the Chimes. Hermann received his early education from private tutors and then attended high school in Lansing, Iowa. Following high school he attended Grinnell College in the Iowa College Academy Course, high school level, from 1874-78. After this he attended the Davenport Business College, where he completed business, penmanship and art courses. Upon graduation he was retained at Davenport for two years as an instructor. The following year he taught in the Milwaukee Excelsior Business College. In 1882 he resigned from Excelsior in preparation for getting married and moving to Montana. 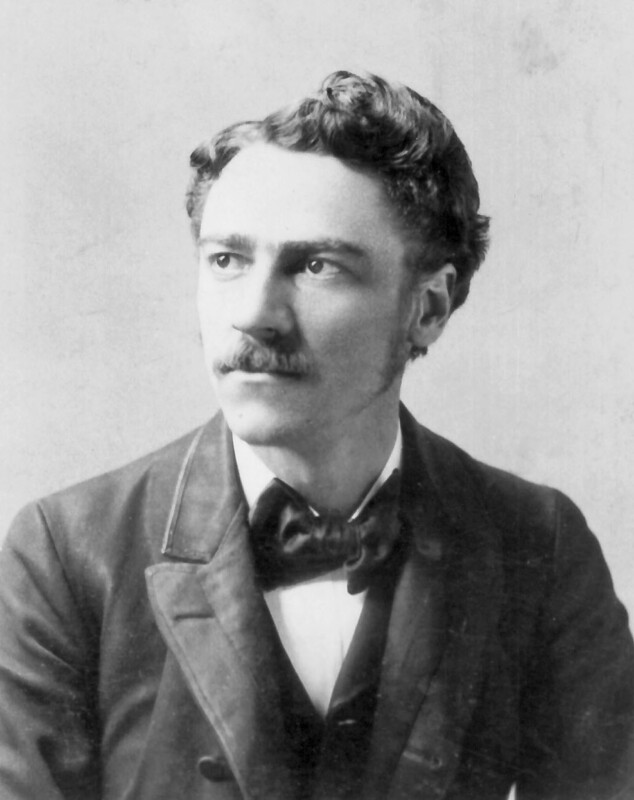 Soon after his marriage he went to Montana, first to Butte and then to Helena. He taught briefly and served as assistant principal in the public schools and then in October of 1883, with a partner, he founded the Helena Commercial College and English Training School in Helena. The school met with skepticism at first but soon prospered and expanded into fields of music, art, the science of telegraphy as well as business practice. By 1898 the school had a faculty of about 60 teachers. Professor H.T. Englehorn was honored by Iowa College in 1889 with the honorary Master of Arts degree. 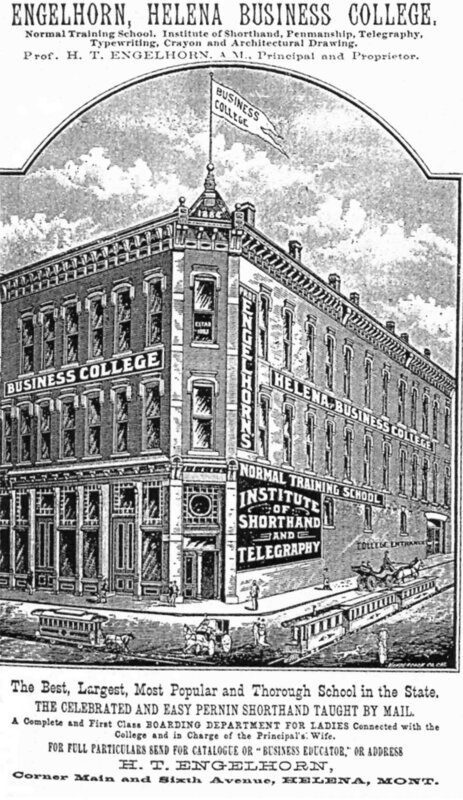 In July, 1898 he purchased a business college in Spokane, Washington for a sum of $4,800. "Englehorn & Dehuff, proprietors, Spokane Business College and School of Assaying", 321 to 325 Riverside Avenue, Spokane. This school included teacher training; shorthand and typing; languages, chemistry and the sciences; and a department of assaying and metallurgy. 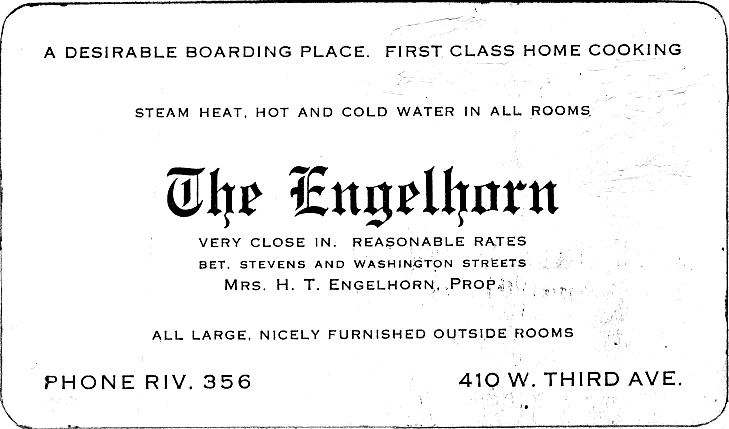 Meanwhile, his wife operated a hotel and boarding house, "The Englehorn", in Spokane with "First Class Home Cooking." An excerpt from a History of Montana, 1892, reported the Englehorn family were fine musicians and that Hermann played seven different instruments. Hermann married Emma A. LENZ, daughter of Fred LENZ and Barbara VOGLER, on 15 Feb 1882 in Churchtown, Iowa. 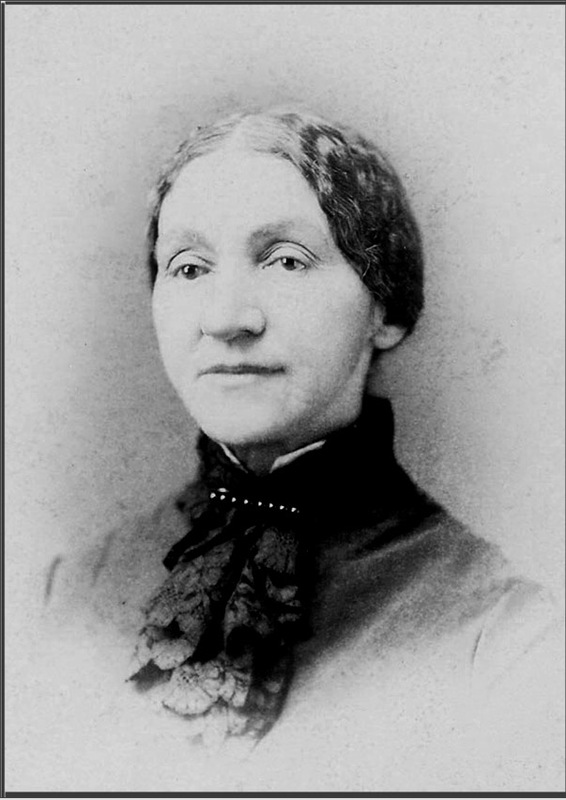 Emma was born 14 Mar 1857 in Lansing, Iowa. She died 25 Jul 1947 in Springfield, Arkansas and was buried in Oakland, California. After the death of Herman in 1937, Emma lived for several years with her daughter Esther Englehorn Middleton in New York. She was unhappy with city living and with a cook who wouldn't let her in the kitchen. Emma was a great cook and had asked Herman, when she was cooking at the boarding house, if he could patent her mixes for pie crusts, biscuits and cakes. His reply was that every woman was proud of her own recipes and would not buy any others. Later she lived in Springfield, Arkansas, in the home built by her son, Elmer, where she passed away in 1947. The body was cremated in Kansas City and the remains were placed in the Chapel of the Chimes in Oakland, California, alongside those of Herman. Clara Laura Mae ENGLEHORN was born 21 Aug 1884 and died 2 Feb 1963. Esther Anna ENGLEHORN was born 9 Sep 1886 and died 21 Sep 1973. Wesley Theodore ENGLEHORN was born 21 Jan 1890 and died 3 Sep 1993. 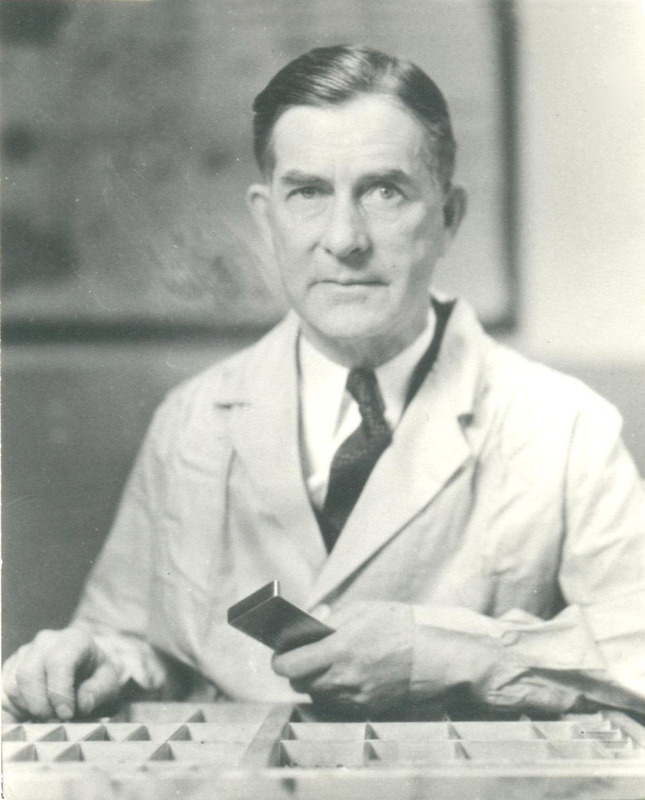 Elmer Henry ENGLEHORN was born 13 Jul 1893 and died 23 Jul 1987. Ruth Sabina ENGLEHORN was born 17 Nov 1898 in Helena, Montana. She died 7 May 1967 in Orangeburg, South Carolina and was buried in Oakland, California. Ruth obtained a BA degree in Sociology from the University of Washington in 1922. She also attended Western Reserve School of Applied Social Sciences, 1918-1919; New York School of Social Work, 1927-1928 and did post- graduate work at Washington University. Miss Englehorn held a number of important positions throughout a long career of social and relief work with a number of state agencies in Oregon, Washington, New York and South Carolina from 1922 to 1941. From 1941 until her retirement in 1963 she was Home Service Field Representative and Consultant with the Red Cross in several regional areas. She worked in Louisiana, Mississippi and Alabama in the disaster following the 1947 hurricane. Ruth died at the Regional Hospital, South Carolina; interment was at the Chapel of Chimes, Oakland, California, following cremation. 3. Clara Laura Mae ENGLEHORN (Hermann Theodore, Johannes) was born 21 Aug 1884 in Helena, Montana. She died 2 Feb 1963 in San Francisco, California and was buried in Oakland. Clara was educated in music - harmony, voice and piano. She sang opera professionally in Spokane and in Chicago. Clara married (1) Chester Cleveland ROBBINS, son of Harvey H. ROBBINS and Perlina WILLOUGHBY, on 1 May 1907 in Spokane, Washington. Chester was born 5 Oct 1877 in Sumpter, Oregon. He died 27 Apr 1917 in Spokane, Washington and was buried in Spokane. Chester was reared in Sumpter, Oregon, and moved to Spokane in about 1902. He was associated with the Robbins Hardware Company of Spokane, of which he was vice president and secretary-treasurer. The company was established in 1904 as Robbins, Pratt and Robbins; it was changed in 1906 to Goble, Pratt and Robbins, and later to Robbins Brothers. He was also secretary of the Standard Gold Mining Company, owner of the Cougar mines in the Sumpter District of Oregon, once belonging to his father. Chester's main interests were in mining and his attempts to re-open and revive his father's mine at Sumpter, Oregon. He was also an assayer and a member of the faculty of Herman's business colleges in Helena, Montana and Spokane. He was on the school board and he held the office of Immanent Commander of Cataract Comradery No. 3, Knights Templar, in Spokane. Harvey Herman ROBBINS was born 9 Mar 1908 and died 12 May 1995. Chester Franklin ROBBINS was born 8 Oct 1910 and died 4 Jan 1994. Clara also married (2) John Julius JOHNCK, son of John D. JOHNCK and Anna JUHL, on 17 Apr 1933 in Oakland, California. John was born 24 Jun 1874 in Keokuk, Iowa. He died 12 Jan 1936 in San Francisco, California and was buried 14 Jan 1936 in Oakland, California. John was a printer of fine arts and specialty prints, one of San Francisco's leading printers. He was a member of the Roxburghe Club of San Francisco, the Book Club of California and the Grolier Club of New York. According to daughter-in-law, Margaret Robbins, Clara and John Johnck lived in Oakland, California and had a small log cabin in the woods. 4. 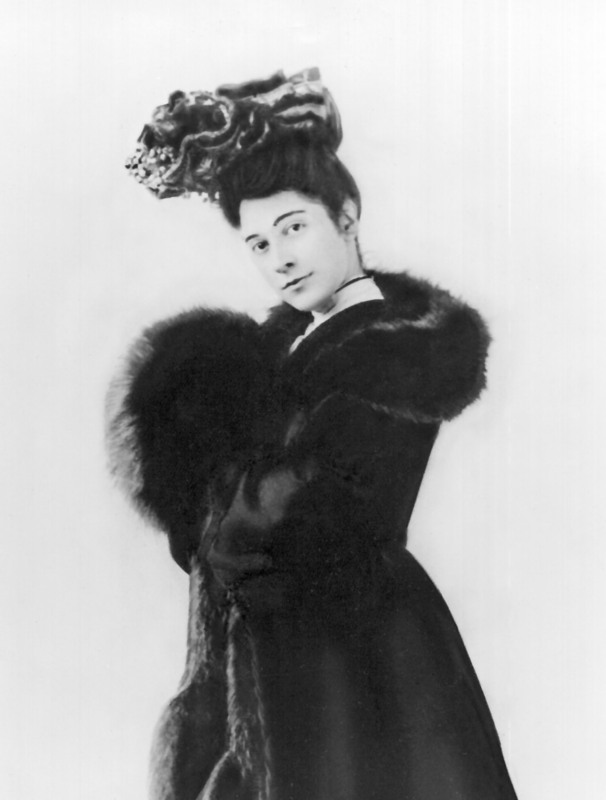 Esther Anna ENGLEHORN "Essie" (Hermann Theodore, Johannes) was born 9 Sep 1886 in Helena, Montana. She died 21 Sep 1973 in Dennis, Massachusetts. 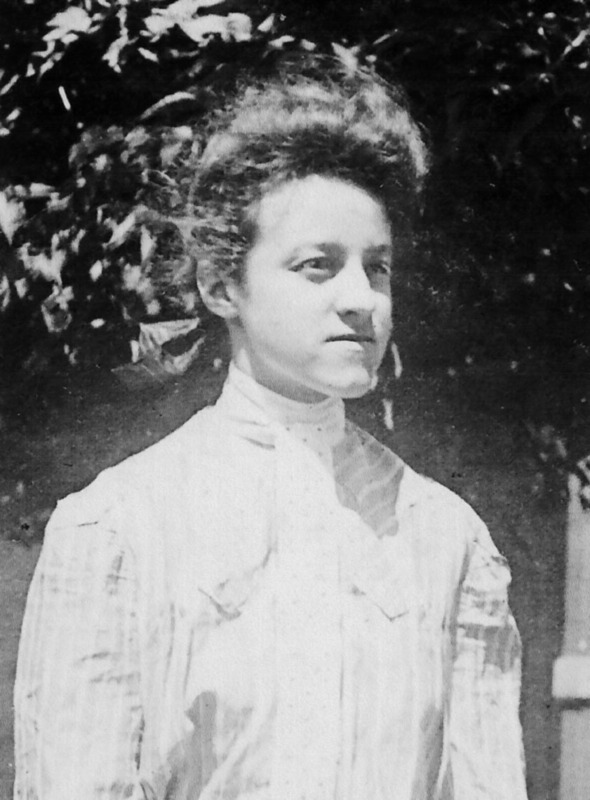 Essie graduated from the University of Washington in 1911 with a BSc degree in home economics. She taught home economics in Auburn and Tacoma, Washington for a few years. Esther married George Elmer MIDDLETON, son of Jefferson MIDDLETON and Eva Belle CAULDWELL, on 19 Aug 1915 in Chicago, Illinois. George was born 12 Jan 1890 in Washington, D.C.. He died 30 Jun 1976 in Dennis, Massachusetts. George earned a BSc degree in ceramic engineering from Ohio State University in 1912 and a BA degree at George Washington University in 1916. He worked for the patent office, US Bureau of Standards, Washington, DC. In February of 1920 he joined the law firm of Pennie, Davis, Marvin and Edmonds in New York City, as a patent lawyer, becoming a partner in 1930. John Englehorn MIDDLETON was born 24 Jun 1916 in Washington, D.C. He died 20 Feb 1920 in New Rochelle, New York. Anne MIDDLETON was born 7 Jun 1919. 5. Wesley Theodore ENGLEHORN "Moose" (Hermann Theodore, Johannes) was born 21 Jan 1890 in Helena, Montana. He died 3 Sep 1993 in Germantown, Pennsylvania and was buried in Oakland, California. 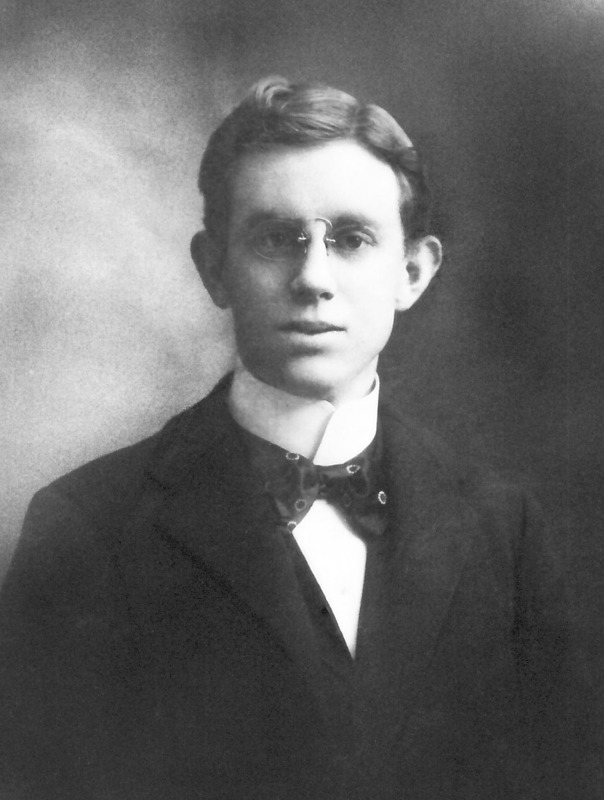 Wesley attended Spokane High School and Dartmouth College, class of 1914. He was probably the first of the descendants of the Allamakee County Englehorns to obtain a college or university education. by Michael Bamberger, staff writer. Wesley Theodore Englehorn - called Ted by the people who aid him and Moose by the few left who remember him as a football player - turns 103 today. He lives in Stapeley Hall, a three-story red-brick home for the elderly in Germantown that would look natural on the leafy campus of Dartmouth College, where he was all-American tackle. Today there will be a small party for Moose Englehorn, who NCAA officials believe to be the oldest living all-American football player. A Dartmouth man will bring him a pennant and his daughter will come up from her home in Alexandria, VA. Yesterday he watched TV as Bill Clinton was sworn in office, the 19th president to span Englehorn's long life. When he was born, on this date in 1890, Benjamin Harrison was President. When he arrived at Dartmouth in 1911 from his home in Spokane, Washington, William H. Taft was President. When he graduated, in 1914, Woodrow Wilson was President. In between, Englehorn compiled the sort of collegiate career that is unimaginable today. According to Dartmouth alumni records, Englehorn was a tackle, a basketball player and a track star, too. He was the president of his class in his sophomore and junior years and president of the student government as a senior. He was also president of Casque and Gauntlet, a senior honor society. Today he is a father, a grandfather and a great grandfather. He is also a retired civil servant, having been employed by the U.S. Government from 1935 until his retirement in 1960, working for the Department of Justice and the War Manpower Commission for the Navy. Yesterday we talked about his long life. Englehorn is a robust man who maintains his collegiate playing weight, 200 pounds, although he no longer stands over six feet. He has a fringe of white hair and smooth skin, and his blue eyes are magnified behind thick glasses. He wore a plaid sport coat, a striped necktie held in place by a clip in the shape of a slide rule, a white shirt that was loose at the neck, green corduroy pants, brown socks and black slippers. He has his own teeth and a firm grip. After high school in Spokane, Englehorn attended Washington State University for a year and played football there. After his junior year at Dartmouth, he was elected captain for his senior year. But when he returned for his senior year, he was told he was ineligible to play, because of his year of collegiate play in Washington. He became an assistant coach instead. The old football man looked at his visitor through his thick lenses. `I don't remember that. I thought I played football every year.' He paused and gathered a thought, `I can't remember not playing football,' he said. Moose married Viola M. SNEAD, daughter of Stephen SNEAD and Mattie BRINKERHOFF, on 19 Aug 1915 in Chicago, Illinois. Viola was born 1 Dec 1888 in Dixon, California. She died 31 Oct 1978 in Springfield, Pennsylvania and was buried in Oakland, California. Mary Louise ENGLEHORN was born 2 Jun 1917 and died 13 Dec 1987. Jane Viola ENGLEHORN was born 11 Dec 1921 and died 28 Nov 2001. 6. Elmer Henry ENGLEHORN "Elmer" (Hermann Theodore, Johannes) was born 13 Jul 1893 in Helena, Montana. He died 23 Jul 1987 in La Jolla, California. 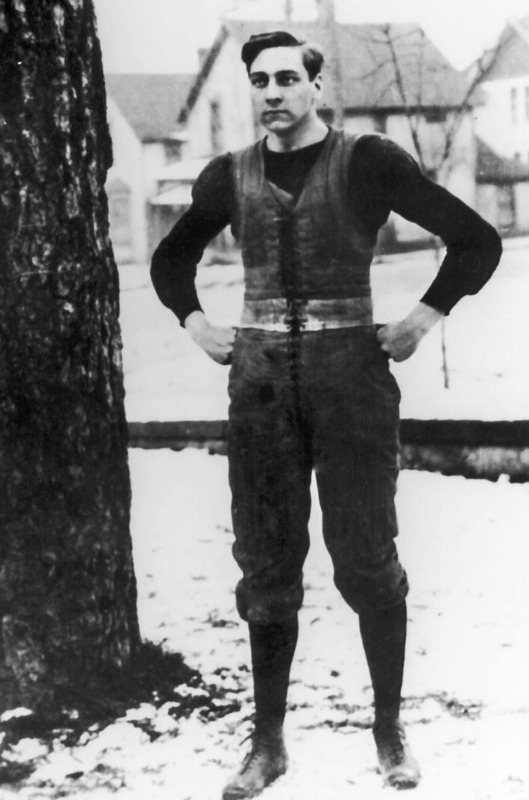 Elmer graduated from Dartmouth College in 1917 with a B.S. degree. After college he served as a corporal in the U.S. Army during World War I, 1918-1919. From 1919 to 1924 he worked for Otis Investment Banking, Cleveland; 1924-1926, T.H. Union Trust Co., Cleveland; 1926-1933, International Equipment Co, New York. In 1933-1934 he attended New York University and in 1933 went to work for I.C. Little Co. While with I.C. Little he worked on the "Big Inch" pipeline as an expediter and trouble shooter, working ahead of construction. He claimed to have worked for I.C. Little until 1954. About 1944 or 1945 he lost his health, his job and his wife. He was given six months to live, went to Arkansas, bought a farm near Springfield and built a house with the help of a neighbor. His sister Clara was there for several years as was their mother Emma when she died in 1947. About 1953 or 1954 he was in Philadelphia where he was believed to have married Gladys Austin who was instrumental in getting him a job with Mack Electric Devices as Vice President and General Manager. She soon divorced him. In 1955 he went to Germany as a civilian manager of U.S. properties. He was married in Germany to Lee Cummins who was in Europe with the American Occupation forces as a court reporter with the Advocate General's office for the war crimes trials. Elmer developed stomach cancer and they returned to the U.S., eventually to La Jolla, California. Elmer was a member of the Unitarian Church of Germantown, Pennsylvania, in 1955. He was a tall, dark and handsome man with a quick wit and a quick temper, the most adventurous in a family of positive people. Family legend says that at one time he went to Mexico and tried to induce friends in the U.S into developing property in Acapulco, without success. Elmer married (1) Lucile May ROBERTS, daughter of Harold ROBERTS and Maude Beatrice, about Aug 1921 in Cleveland, Ohio. The marriage ended in divorce. Lucile was born in Cleveland, Ohio. She died Dec 1981 in Cleveland. John Roberts ENGLEHORN was born 4 Sep 1922 in Cleveland, Ohio. He died 8 May 1991 in St. Michaels, Maryland and was buried 18 May 1991 in Stamford, Connecticut. John Roberts graduated from Dartmouth College, class of 1944 and obtained an A.B. degree in June of 1947. Studies and graduation were delayed due to military service in the Army Air Forces from induction Oct 2, 1942 to discharge on 1 August, 1946 at Fort Dix, New Jersey. During this time John rose in rank from Private to Captain. While in the service he was posted to several states and to Morocco, Turkey and Egypt. From June-September 1947 he attended the School of Advanced International Studies in Washington, DC. After college he went to work for American Zinc, Lead and Smelting Co. and in 1954 was named assistant to the Vice-President of operations. In 1960 John Roberts joined St. Joseph Lead Company and in 1964 he was elected a vice president responsible for raw materials purchases, legislative affairs and industry association activities. He was treasurer and a member of the board of the American Zinc Institute and chairman of the Industry Development Committee of the Lead Industries Association. John was an avid open water sailor, participating in races off the New England coast. He expressed a great deal of interest in the barque "Engelhorn". Prior to his death John and Frances lived in retirement in Marathon, Florida. John married Frances Anne LEAMAN, daughter of Walter Edward LEAMAN and Josephine WATERBURY, on 21 Sep 1946 in Stamford, Connecticut. Frances was born 22 Jul 1924 in Stamford, Connecticut. Frances attended Ethel Walker School and graduated from Greenwich Academy, Pine Manor Junior College, and Katherine Gibbs School, New York. She was a member of the Junior League of Stamford, Connecticut. David Wesley ENGLEHORN was born 21 Mar 1924 and died 19 Feb 1995. Elmer is believed to have married (2) Gladys AUSTIN about 1953/1954. The marriage ended in divorce. Elmer also married (3) Lee CUMMINS about 1955/1956 in Germany. 8. Harvey Herman ROBBINS (Clara Laura Mae ENGLEHORN, Hermann Theodore, Johannes) was born 9 Mar 1908 in Spokane, Washington. He died 12 May 1995 in Prescott, Arizona and was buried in Dewey, Arizona. Harvey graduated from the University of California at Berkeley where he was a member of Theta Chi Fraternity. He was vice-president of the Paperboard Packaging Council in Chicago and past president of the associations of food packaging companies. He was also a business consultant. Harvey married Margaret Helen GOBLE, daughter of William L. GOBLE and Angie May BRADFIELD, on 25 May 1940 in Evanston, Illinois. Margaret was born 29 Aug 1909 in Elgin, Illinois. She died 14 Jul 1997 in Prescott, Arizona and was buried 29 Aug 1997 in Dewey, Arizona. Margaret attended school in Elgin, Illinois; her father was the high school principal. She graduated from Northwestern University and worked as a proofreader and secretary for a brokerage firm. Eleanor Anne ROBBINS was born 20 Jul 1941 in Evanston, Illinois. Eleanor married William D. BIXBY. Claire Lynn ROBBINS was born 6 Nov 1947 in Chicago, Illinois. Claire married Earle C. TEMPLETON. 9. Chester Franklin ROBBINS (Clara Laura Mae ENGLEHORN, Hermann Theodore, Johannes) was born 8 Oct 1910 in Spokane, Washington. He died 4 Jan 1994 in San Francisco, California. Chester attended two years at the University of California at Berkeley. Due to financial hardship he left college and worked in commercial and residential real estate, a career which lasted for 40 years in the San Francisco area. He eventually became a partner in the firm of Madison and Burke. Chester greatly enjoyed the game of golf which he played at least twice a week during his active life. He was a member for many years of the California Golf Club near San Francisco and served as president for one term. Chester married Florence WILSON, daughter of James Alfred WILSON and Mildred Loretta WOLFF, on 11 Jan 1937 in San Francisco, California. Florence was born 4 Aug 1910 in San Francisco. Joyce ROBBINS was born 16 Sep 1938 in San Francisco, California. Joyce obtained her B.S. degree in business at the University of California, Berkeley in 1960. While in University she was a member of Pi Beta Phi Sorority. Until her marriage she worked as a secretary for California Packing Corporation (Del Monte Foods). Joyce married Richard Murray WEISMANN, son of Cecil A. WEISMANN and Fern O. HAAG, on 20 May 1961. Richard was born 8 Mar 1932 in San Mateo, California. 11. Anne MIDDLETON (Esther Anna ENGLEHORN, Hermann Theodore, Johannes) was born 7 Jun 1919 in Washington, D.C.
Anne was educated in the public schools of Plainfield, New Jersey and graduated from Hartridge High School in 1937. She attended Vassar College in Poughkeepsie, New York and graduated with an AB degree in 1941. She taught English in Hartridge School, was a member of Junior League and the Presbyterian Church. In 1970 she and Arthur moved to Cape Cod where she taught English at Nauset Regional High School until 1981. Anne is the founder and a trustee of the Cape Museum of Fine Arts (founded 1981) in Dennis, Massachusetts. She has been a member of the Dennis Union Church since 1970. Anne married Arthur Dunham STOUT Jr., son of Arthur Dunham STOUT and Josephine CULBERTSON, on 15 Mar 1943 in Plainfield, New Jersey. Arthur was born 20 Oct 1915 in Watchung, New Jersey. He died 26 Dec 1973 in Dennis, Massachusetts. Arthur served in the Air Force in WW II. He was an editor of technical magazines for a major publishing company. Arthur Dunham STOUT III was born 15 Jan 1945 in Springfield, Ohio. Arthur obtained a B.A. Degree from Hamilton College in 1967. He served in the U.S. Army from 1968 to 1971 and then earned his law degree from Rutgers University in Newark, New York in 1974. Arthur is a partner in the law firm of Squadron, Ellinoff, Plesant & Leher in New York City. Arthur married Susan MCTYRE of Plymouth, Michigan. Susan has an A.B Degree from Ohio Wesleyan University and Masters and PhD degrees from Columbia University. Sarah M. STOUT was born 13 Aug 1947 in Plainfield, New Jersey. Sarah obtained her A.B. Degree at Vassar College in 1969 and an M.A. Degree in Library Science from Bridgewater State College, Massachusetts in 1994. At the time of writing she is Middle School Librarian at Nauset Regional Middle School, Orleans, Massachusetts. George Jefferson STOUT was born 18 Apr 1952 in Plainfield, Union, New Jersey. George received his A.B. Degree from the University of Massachusetts in Boston in 1974. He is a respiratory therapist at Massachusetts General Hospital, Boston. George married Ann Marie NICHOLS. Ann was born 12 Feb 1952 in Pittsfield, Massachusetts. Ann is a nurse anesthetist at Massachusetts General Hospital, Boston. Peter Middleton STOUT was born 15 Jun 1959 in Plainfield, Union, New Jersey. Peter attended Johnson and Wales Chef School in Providence, Rhode Island. He is a managing chef in Boston. Peter married Sylvia M. SACCHETTI on 22 Jul 1995. 12. Mary Louise ENGLEHORN (Wesley Theodore ENGLEHORN, Hermann Theodore, Johannes) was born 2 Jun 1917 in Cleveland, Ohio. She died 13 Dec 1987 in San Mateo, California and was buried 28 Dec 1987 in San Francisco, California. Mary married Frank A. KRUECKEL on 11 Oct 1941 in San Francisco, San Francisco, California. Frank died 19 Oct 1995 in Sacramento, California and was buried in Oakland, California. 13. Jane Viola ENGLEHORN (Wesley Theodore ENGLEHORN, Hermann Theodore, Johannes) was born 11 Dec 1921 in Boston, Massachusetts. She died 28 Nov 2001 in Springfield, Virginia and was buried 2 Dec 2001 in Springfield, Virginia. Jane’s mother moved with her two daughters near Lodi, California, so that the family might have geographical and developmental security during the girls' growing years. Living on a ranch, Jane learned to ride horseback, an activity she always loved. She excelled in sports. Jane graduated from high school in Berkeley, California, and later attended San Jose College. Her first employment was with the Securities and Exchange Commission, located then in Philadelphia. By that time the family had moved to the east coast. When the Commission relocated to Washington, D.C., Jane came there to work. There she met her husband-to-be, William De Sonia. Upon his separation from service in the navy, Bill returned to Drake University in Des Moines, Iowa, for his MS law degree. He joined the Federal Bureau of Investigation soon after graduation. In 1954 Bill and Jane bought a home in "Yates Village" in Springfield, Virginia, where they raised three children. Jane gave up her career in the government to be a full-time mother. She continued her love of sports with bowling and golf and engaged in many activities relating to her abiding interest in flower arranging. She was a member, board member, and past-president of the Springfield Acres Garden Club. She and Bill joined the St. Mark's Lutheran Church on the anniversary of Martin Luther's birthday, 10 November, in 1957, where she and her co-workers created beautiful flower arrangements for the sanctuary. In addition she volunteered at the Washington National Cathedral by arranging flowers for the St. Mary's Chapel. In 1979 the family moved to a new home in Wilton Woods in Alexandria, Virginia, where they lived until she entered the Burke Health Center in September, 2001. Her legacy as a lovely, active woman in athletics, government service, wife, mother, creator of beauty in community, and one who cared for the House of the Lord by enhancing its beauty with flowers will live for many years to come. Jane married William L. DE SONIA on 19 Jun 1954 in Philadelphia, Pennsylvania. William was born 8 Oct 1921 in Wakefield, Michigan. William served in the U.S. Navy during WW II in the Central and South Pacific and at the time of separation from the service in June, 1946 was commanding officer of LST 697. He then returned to Drake University, Des Moines, Iowa, to complete his education. He earned his BA and LLB degrees in May, 1947. William was admitted to the Iowa Bar, United States District Court, District of Columbia, US Court of Appeals and US Supreme Court. He served for 15 years as FBI special agent and 17 years as a Foreign Assistance Inspector in the office of the Inspector General, US, Department of State. He served for two years as a special assistant to Ambassador Marshall Green, Coordinator for Population affairs and was the Foreign Assistance Assistant Inspector General for Investigations, US Department of Energy for 20 months after leaving the State Department. During his tenure with the State Department, William traveled in approximately 60 countries world-wide reviewing programs for efficiency of operation, fraud abuse and whether they were meeting US policy objectives. He also worked briefly for the US House Appropriations Committee and Arabian American Oil Company on anti-trust matters. William Carl DE SONIA "Carl" was born 1 Sep 1955 in Washington, D.C.
Carl graduated from Robert E. Lee High School in Springfield, Virginia and then obtained a degree in business from James Madison University. Carl married Robin Marie SCICHILONE, daughter of Angelo SCICHILONE and Rose, on 27 Dec 1980 in Annandale, Virginia. Robin was born 11 Jan 1955 in Alexandria, Virginia. He is a graduate of Virginia Tech with a degree in business administration. Ann Louise DE SONIA was born 15 Feb 1958 in Arlington, Virginia. Ann attended Radford University, 1976 - 1978. She has been employed as a legal secretary since July 1984 with the law firm of Morrison & Foerster. Ann married David Rodney COOK on 5 May 1984 in Springfield, Virginia. David was born 8 Feb 1958 in Dayton, Ohio. David attended American University, Washington, DC and earned BS/BA degrees in business administration with majors in finance and computer science. Since 1993 he has been a systems manager with MCI Telecommunications Company. Mary Jane DE SONIA was born 17 Dec 1959 in Georgetown, D.C.
Mary Jane is a graduate of Lynchburg College with a degree in history. Mary married David Alan DYE on 12 Jan 1985 in Springfield, Virginia. David was born 28 Dec 1956 in Sharon, Pennsylvania. David obtained a BS degree from Bowling Green State University in 1979, followed by Masters and Doctorate degrees in psychology from George Washington University. 15. David Wesley ENGLEHORN "David" (Elmer Henry ENGLEHORN, Hermann Theodore, Johannes) was born 21 Mar 1924 in Cleveland, Ohio. He died 19 Feb 1995 in Lakewood, Ohio and was buried 22 Feb 1995 at Atwood Lake, Ohio. David graduated from Shaw High School, Cleveland and served in the Army during World War II. He was awarded the Bronze Star for bravery under bitterly cold combat conditions while serving in a reconnaissance and intelligence platoon in Germany. He attended the London School of Architecture after the war and earned a degree from Ohio State University in 1950. He was a registered architect and president of C-E Associates, Architects-Engineers, Cleveland. 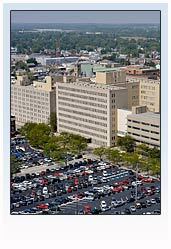 David specialized in hospital design and was responsible for the design of MetroHealth Medical Center, Blanchard Valley Hospital, Findlay, Ohio; Bellevue Hospital, Bellevue; Lima Memorial Hospital, Lima, among others. He also designed the Marathon Oil Co. headquarters in Findlay and its research center in Littleton, Colorado. David was a dynamic and creative architect, both as a designer and carpenter-builder at home. He was devoted to his three daughters. He was a tall, dark and handsome man, active and physically fit until his six month battle with liver cancer. David was a member of Kiwanis Club of Cleveland and served on the board of the downtown YMCA. He was a member of the Elks Lodge of New Philadelphia and an avid sailor and strong swimmer, a member of the Atwood Yacht Club. He was a corporate member of the American Institute of Architects and was certified by the National Council of Architectural Registration Boards. In 1987 while at his cottage on Atwood Lake he saw two ice boaters fall into the lake 250 feet from shore. He immediately launched a small boat and shoved it across the ice and, although falling into the water himself, he managed to rescue the two. For his bravery, he was awarded a plaque by the Atwood Yacht Club and received other honors. David married (1) Frances Gertrude WILLIAMS, “Peggy” daughter of Sylvester Westfall WILLIAMS and Francis FLOOD, on 4 Sep 1948 in Cleveland, Ohio. The marriage ended in divorce. Frances was born 4 Mar 1926 in Pleasantville, New York. Frances was a medical secretary, homemaker, professional seamstress and designer. Chris W. ENGLEHORN was born 4 Dec 1949 in Cleveland, Ohio. Chris attended Ohio University at Athens, Ohio. She is a family therapist. Chris participates in various humanitarian projects. Chris married Bruce FORTIN, son of Henry O. FORTIN and Teresa C. ARAGONE, in Marin County, California. Bruce was born 14 Apr 1941 in Seattle, Washington. Dale Roberts ENGLEHORN was born 11 Aug 1952 in Cleveland, Ohio. Dale attended Ohio University at Athens, Ohio. She is an environmental studies teacher. Like her sister, Dale is a lover of the outdoors and nature. She participates in philanthropic services to humanity including the practice of horticultural therapy. Dale married Gregory BYRNE, son of John K. BYRNE and Betty JOHNSON, in Dec 1975 in Summertown, Tennessee. The marriage ended in divorce. Gregory was born 24 Dec 1951 in Erlanger, Kentucky. Caryl Anne ENGLEHORN was born 21 Aug 1958 in Cleveland, Ohio. Caryl attended the University of Vermont in Burlington, and graduated from Cornell University. She was a city planner in Cleveland for many years. She is currently a family therapist. Caryl is a lover of nature and the outdoors and enjoys humanitarian work. David also married (2) Sharon LONGSLEY. Sharon was born 13 May 1941. Sharon was office manager for C-E (Carson-Englehorn) Associates.